being little • bristol uk fashion & lifestyle blog. 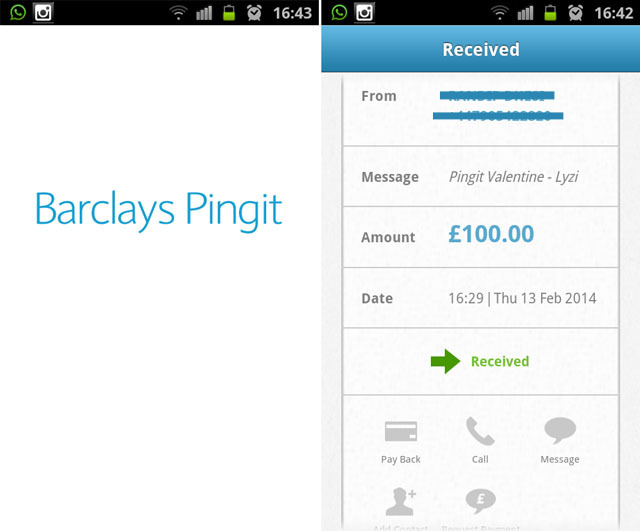 : valentine's day with barclay's pingit. I downloaded Pingit, and was very pleasantly surprised at how easy it was to set up (provided you have all the info on hand! You will need your account number & sort code) while the child in me was pleased by the little sound effects it makes. It's basically an app that makes it super easy to instantly send & receive money, using your mobile phone. With the money in the bank, we set about planning our day of fun! 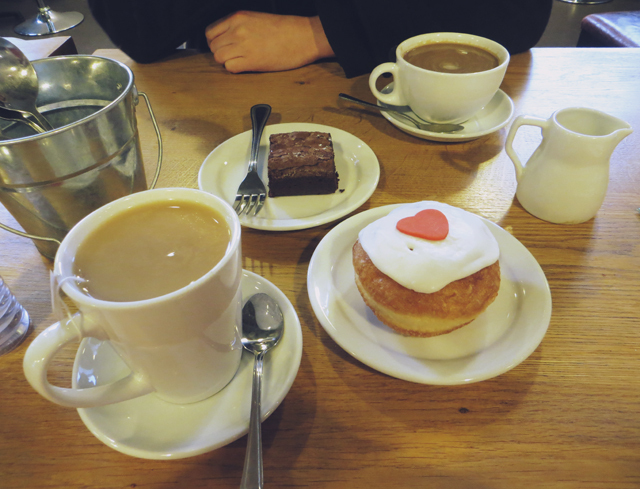 We decided to head out mid afternoon for a cup of something hot and a nibble on something sweet at Arnolfini - Doug had coffee & a brownie, while I had tea & this super jammy donut that I just couldn't resist. We then had a look around at the art & books. 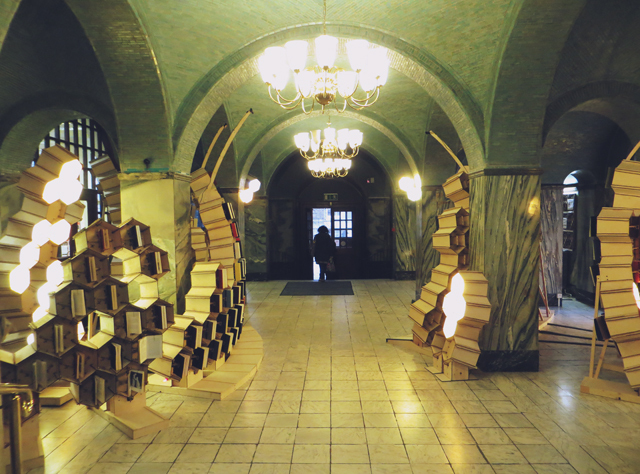 We braved the crazy wind and rain to walk up to the Central Library, where they have this Book Hive exhibition, which I really recommend! It's an interactive exhibition, which I believe has grown since it first started! It has sensors, so when you go near it, the books open! It really feels like they're alive, I love it and urge you all to visit! 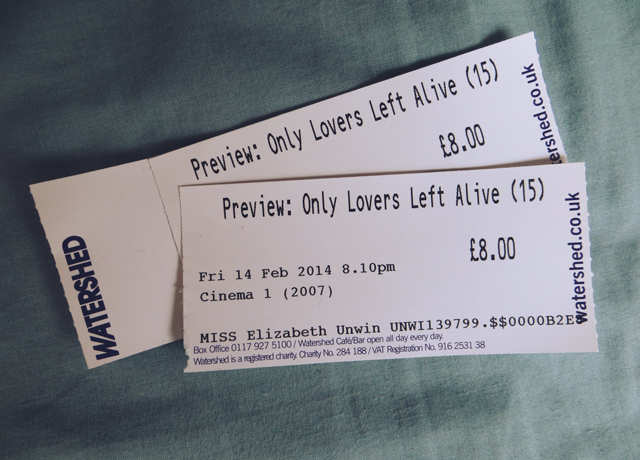 After a few cocktails, and a crazy yummy 3 course dinner (which I didn't manage to photograph because we were too busy wolfing it down) we had the short walk down the harbourside to Watershed, where we watched the preview of Only Lovers Left Alive. I'd never been to the cinema there before, but it was lovely and little with comfy seats! I'm not really into vampire stuff, but the film itself was actually great. The storyline was interesting, and the music was just perfect. Phew! 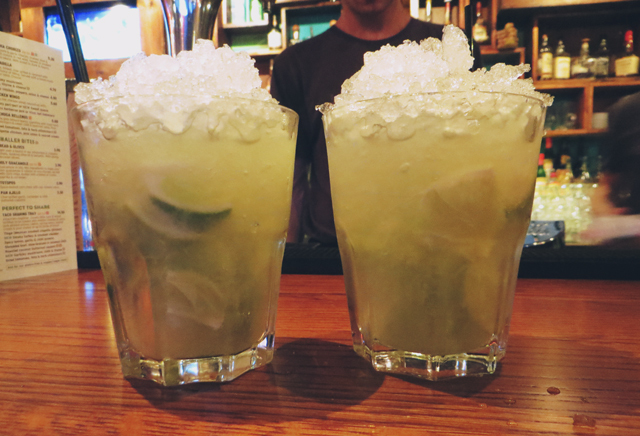 So, that's what we got up to last Friday! 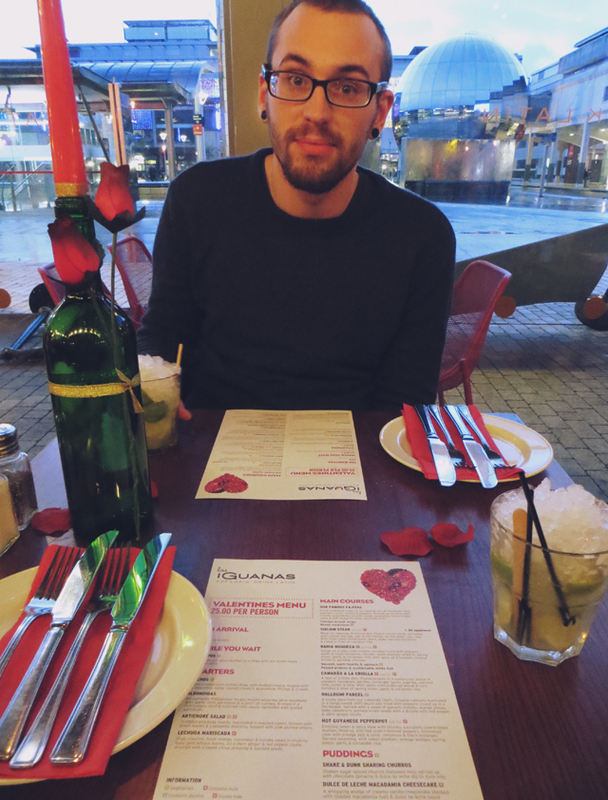 I don't think I've ever done so much for Valentine's Day before, but I really enjoyed it! Big thanks to Barclays for making it possible! Awww, that looks like a lovely day. I have to admit I'd never heard of Pingit before. Those books look awesome. so glad you got the opportunity to have a lovely day, aw! 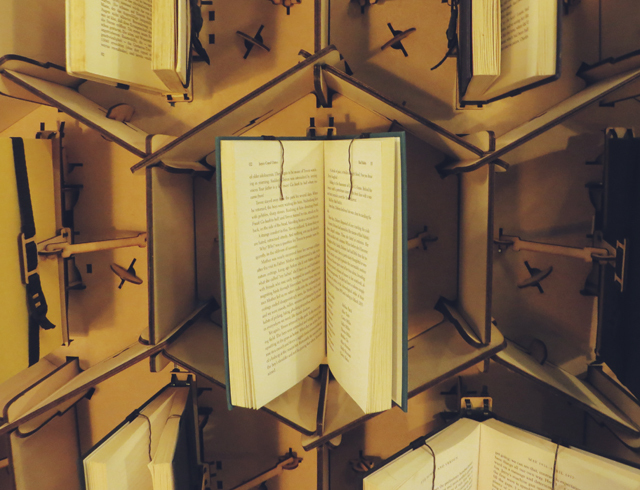 No way; that book hive is amazing! 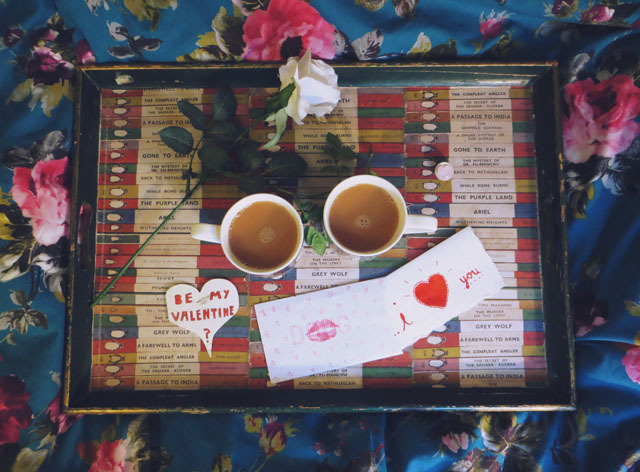 Glad you had such a fun and eventful Valentine's Day! What a nice way to spend the day. amazing day, i totally loved the book hive! 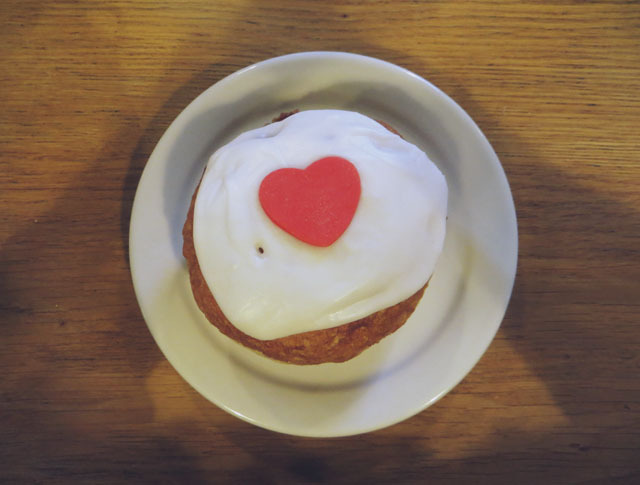 Aw, a lovely day indeed! 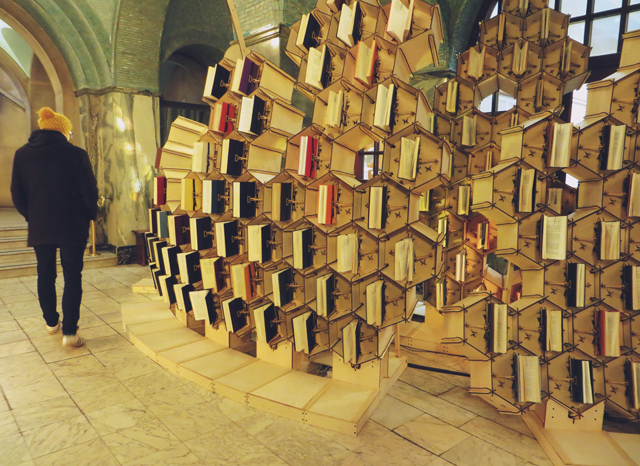 The Book Hive looks incredible. This looks like such a lovely day.